You guys know I love a good trash to treasure project. When you are on a budget, it’s all about using what you already have to save money. And lately I feel like I have a TON of empty jars & bottles in my pantry. I cannot imagine throwing them out, so instead I upcycle them into beautiful home decor. 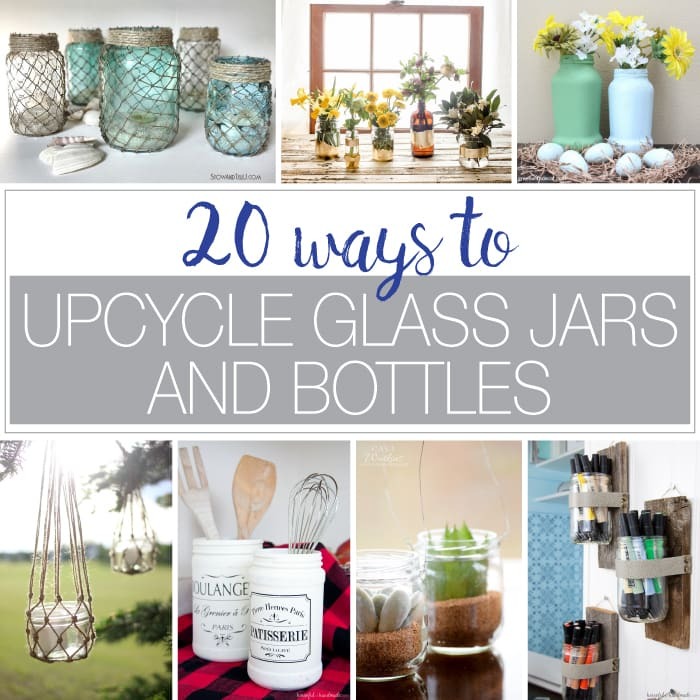 And luckily for you, I teamed up with my friend Jenny from Refresh Living to share 20 ways to Upcycle Glass Jars & Bottles with you. Glass jars are so much more than mason jars. Don’t get me wrong, I love mason jars. But I also have a pantry full of peanut butter jars, sauce jars, wine bottles and more. All those things you buy in the grocery store that come in glass can also be reused. But first, you need to remove those pesky labels. Jenny has this awesome tutorial to help you easily remove the labels so you can get to prettying up your jars fast! These DIY Gold Leaf Bottle Vases from Pretty Handy Girl have my heart smiling! Who doesn’t love a little bit of gold on everything? And the gold leaf totally transforms the bottles from trash to high-end & fabulous. 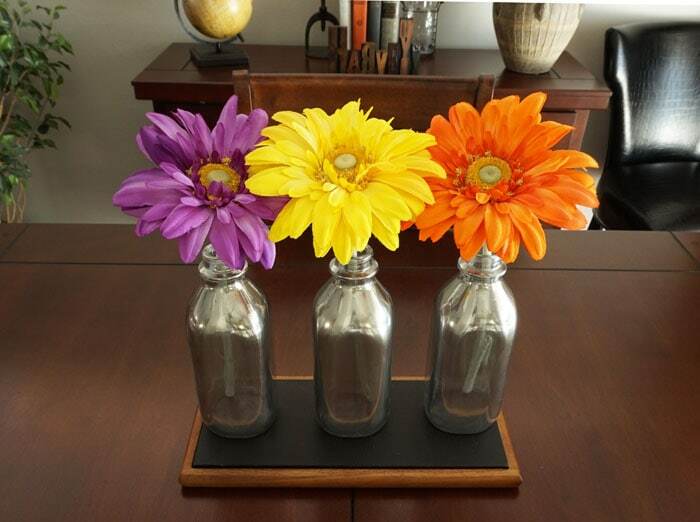 Glass jars make the perfect vases. But you don’t have to use your vases only to hold flowers. I made these rustic Wall Vases from old peanut butter jars to store craft supplies in my new office & craft room. And bonus, they only took 10 minutes to make! Who else is totally in love with succulents? Well, take that love of succulents to the next level with these World Marker Mini Succulent Hanging Jars Knock-Off from Casa Watkins Living. I want to hang them all over my house. 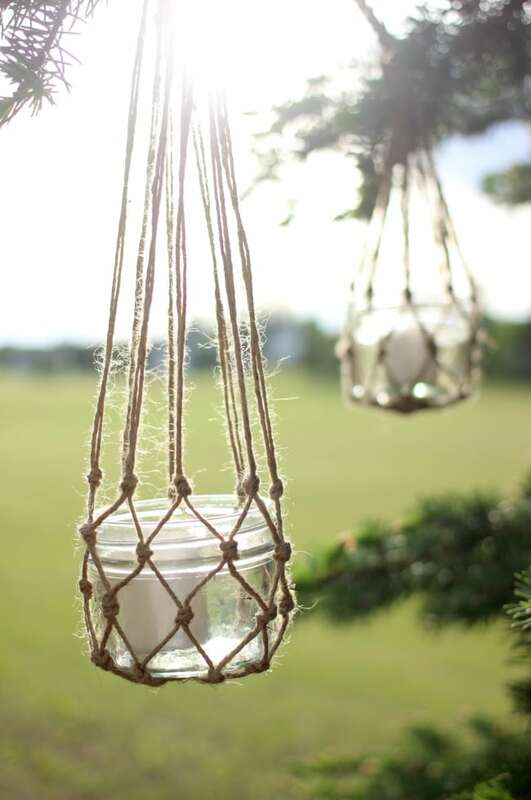 And while we are having so much fun hanging glass jars around, how fantastic are these Jute String Lanterns from Love Create Celebrate! With the weather finally warming up, you can make these to hang all around your outdoor space for the perfect evening lighting. 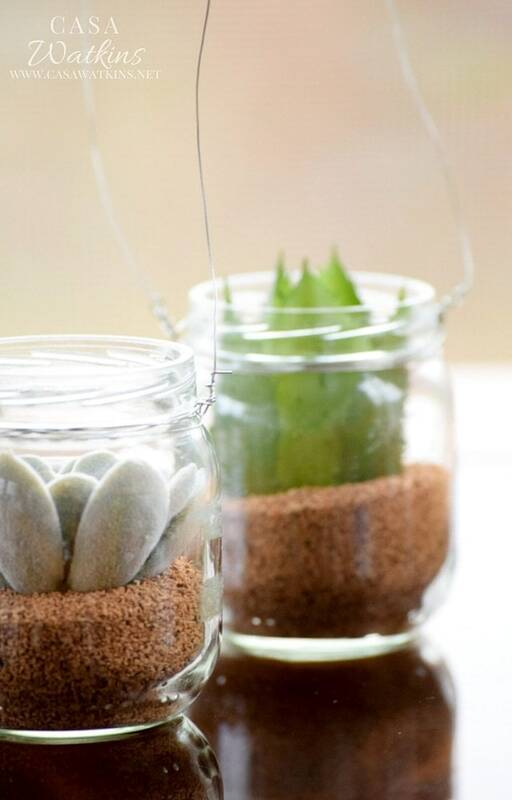 Reusing glass jars for decorating is awesome, but what if is it functional too? 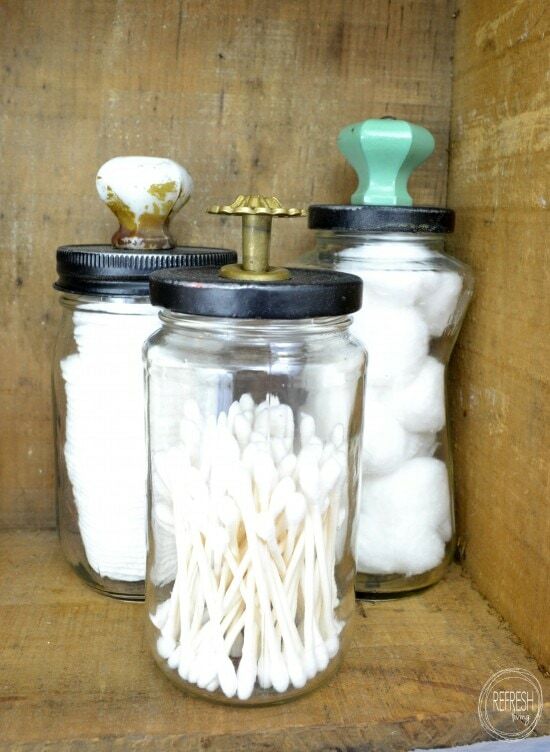 I love how Jenny upcycled glass jars for bathroom organization. And those decorative lids are just too perfect! Are you in love with mirrored glass too? 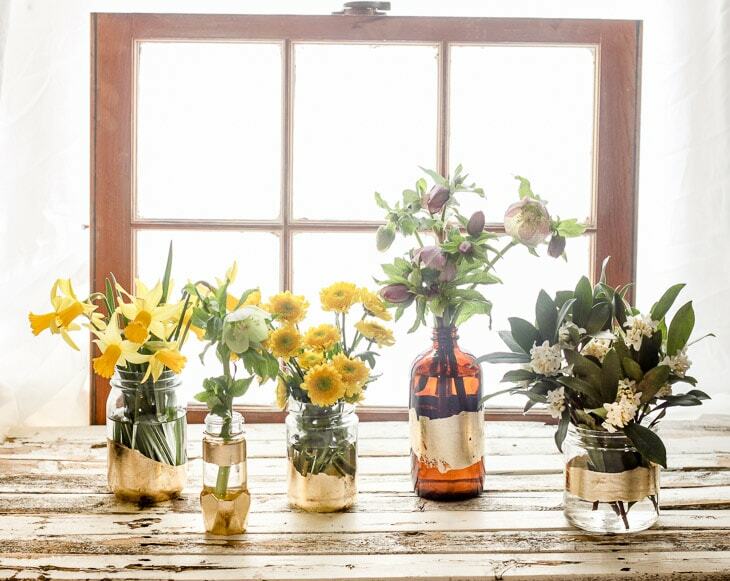 These Mirrored Milk Bottles from Small Home Soul make a beautiful spring centerpiece. And I do love milk bottles. But if you don’t have any milk bottles lying around, you could make any old jars or bottles into the perfect mirrored glass centerpiece too. Who doesn’t need more kitchen storage? 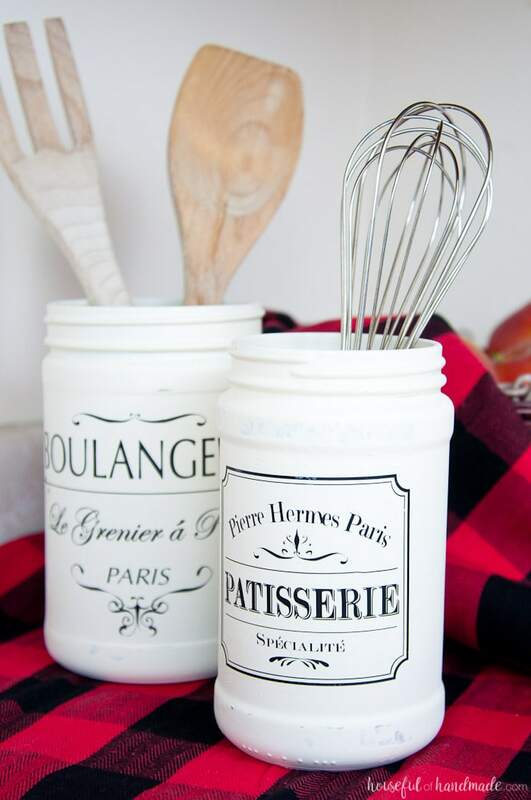 Upcycle your old jars into Farmhouse Kitchen Canisters for the extra storage you need. These old peanut butter jars have been totally transformed to look like expensive kitchen decor. 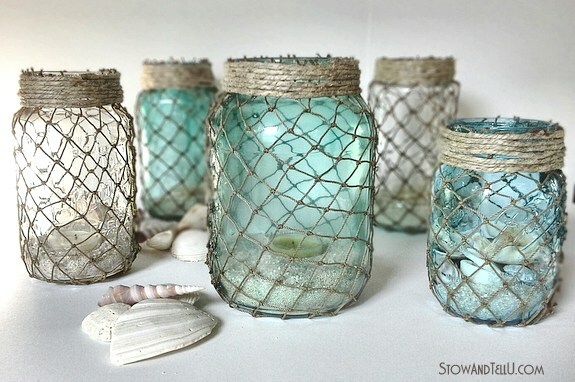 If you love beach decor, then you will love these Decorative Fisherman Netting Wrapped Jars from Stow and Tell. She colored some of the upcycled jars to look like beach glass then wrapped them. I love all things beach house and these upcycled jars are no exception! 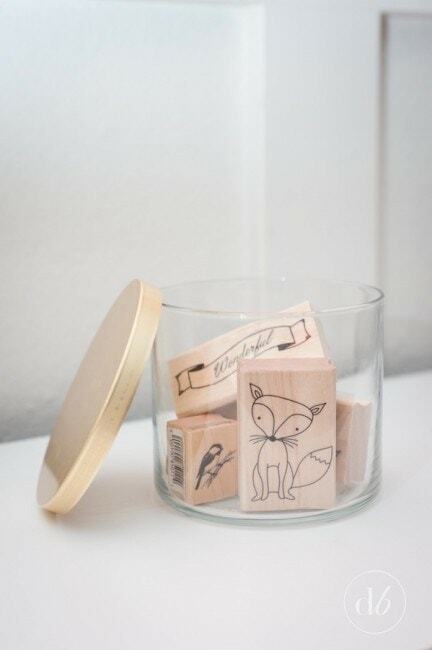 If you are a candle lover, you need this post about How to Reuse Candle Jars from Dwell Beautiful. She shares her trick for getting out the last of the wax and shows you places she has used them. I love how she is using this one as craft storage (I always need more craft storage). Do you have odd shaped jars in your collection? Don’t worry, they can be reused too! 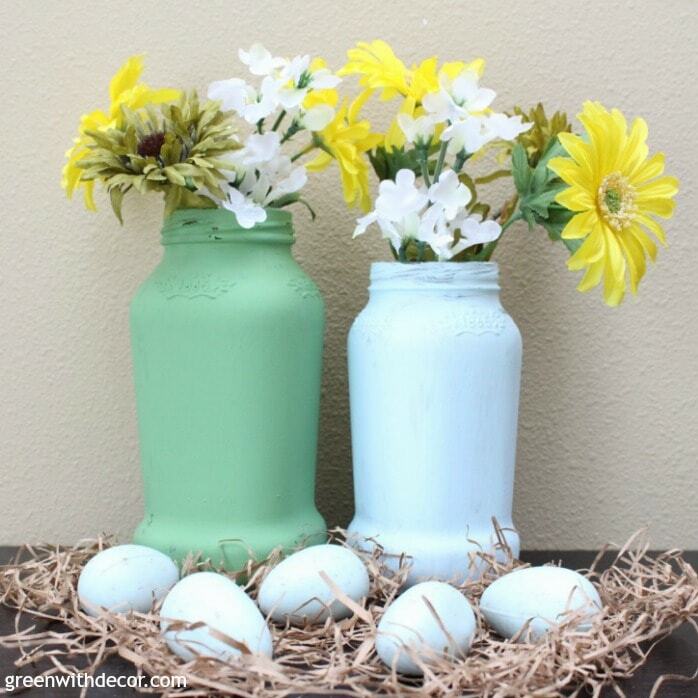 Meg from Green with Decor turned old spaghetti jars into Spring Vases. This simple project highlights to fun shape of the jars, but they definitely do not look like sauce jars anymore. 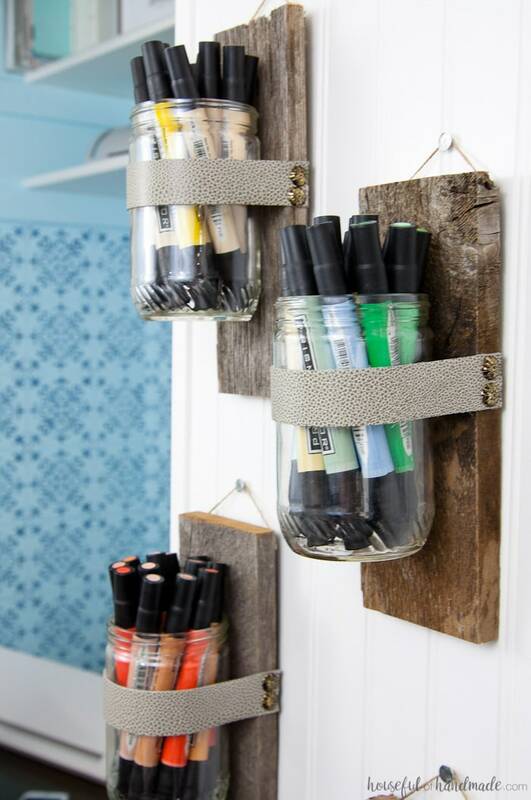 And for 10 more ways to upcycle glass jars & bottles, make sure to check out Refresh Livings post. At this rate, I am going to have to go grocery shopping again so I can keep creating!